1961 QEII decimal surcharge definitive, ½c on ½d grey-black and sepia. 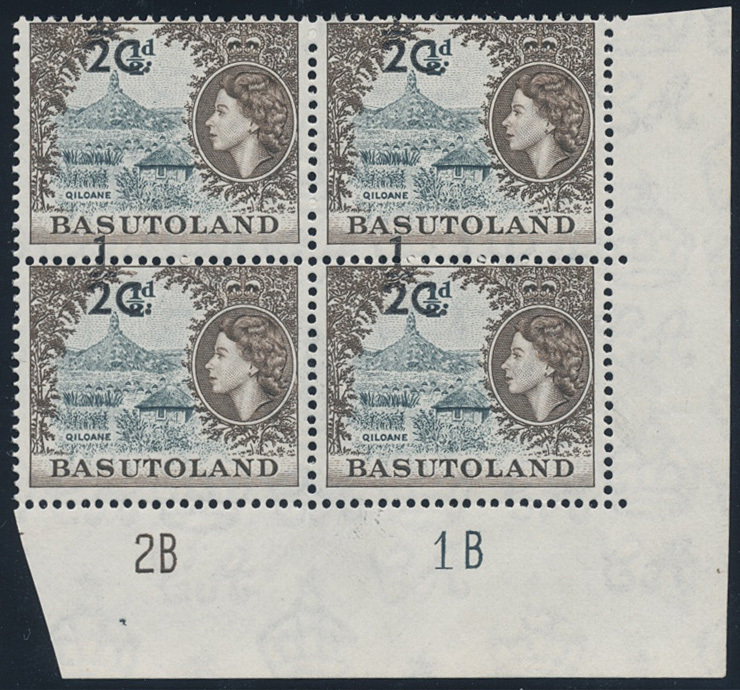 Lower right corner plates '2B 1B' block of four showing dramatic upward shift of the surcharge which now straddles the margins between the stamps. Hinged on margin stamps superb unmounted. Most likely UNIQUE in this format. SG 58 vars.